Why business team coaching? – In today’s inter-connected world, change is best sustained when it begins as a small local effort that moves through networked relationships. When a group of people focuses on local challenges, they experiment and find solutions that work in their local context. Often, they hear about success when they engage in spirited communications, which in turn inspires others. In conventional organisations without team performance management skills, they are often not acting as a team nor having as much impact as they could. Much wisdom goes unnoticed because people are trapped in a silo mentality, do not have time to communicate or are afraid of appearing boastful or being wrong. Xenergie X-perience group interventions work with groups to deepen and widen team performance and impacts over a nine-month journey of discovery – transforming a group of individuals into a high performing team. Business team coaching, energises, engages and inspires your leadership teams and groups – read more about Xenergie X-perience. We also offer world cafe-style interventions, where participants engage in artfully designed dialogue events. These cross-fertilise insights between groups, engaging them as authors of their own development. 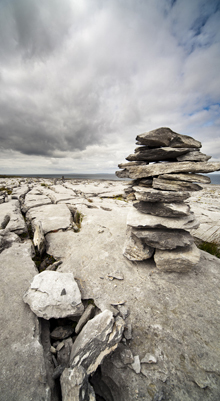 Xenergie is the preferred accredited provider of Belbin in Ireland and is one of the leading exponents of the programme for the past ten years. In that time we have assessed over 10,000 employees, managers from all over Irish business and other organisations. We have also accredited Coaches within organisations and professional external coaches so that the messages delivered by Belbin are used daily as a means of developing people. We are used to working with Teams of all sizes and generating positive performance improvement, by an understanding of the individual dynamics that make people what they are and coach them for better performance. We hold regular regional roadshows in Dublin and Belfast for accredited Belbin professionals and companies interested in improving their teamwork. So whether you are keen to use Team Coaching to benefit your company, are a professional coach and are seeking accreditation or would like to learn more, you can contact us at info@xenergie.com OR call us at 091 638 769.